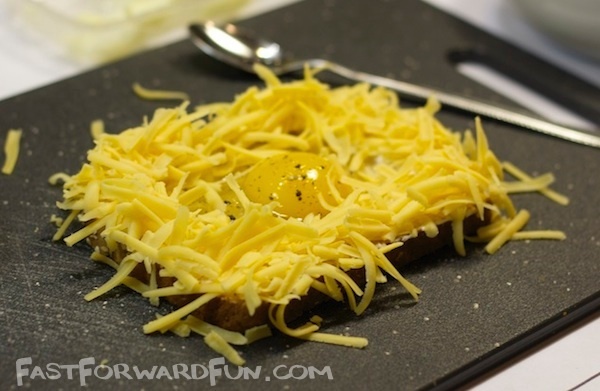 I discovered cheesy egg toast just a few months ago (Yes, 34 long years without this incredibly easy way of putting bread, cheese and eggs together! ), and it’s now my family’s favorite new breakfast. 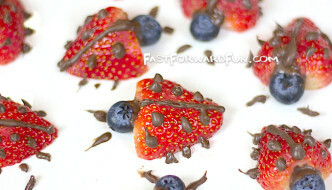 It’s also an awesome after-school snack, lunch, or even dinner on lazy nights. The best thing about this recipe is that it’s made with staples that my family almost always has on hand. 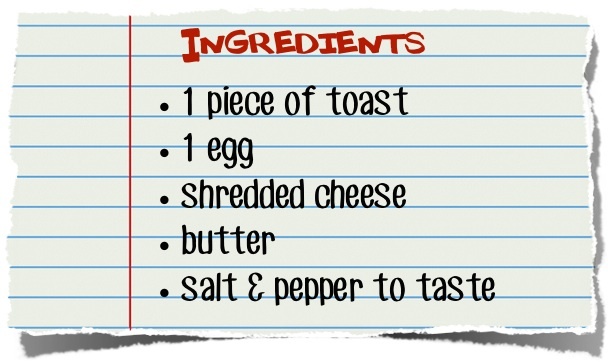 When in doubt, make cheesy egg toast! 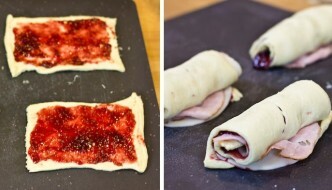 If you plan on making more than two of these at a time, you can also bake them in the middle rack of your oven at 350 degrees on a large cookie sheet. In my experience, the eggs don’t get as well done as they do in the toaster oven, but it’ll feed a crowd! Watch the video! It sums up the instructions in only 28 seconds. 2. Cover the edges of the bread with butter (not shown in the picture because I did it backwards… hehe. 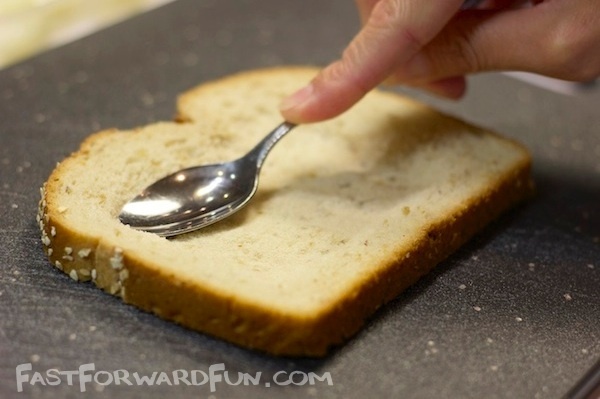 ), and then crack an egg in your new shallow “bread bowl”. Don’t worry, it will fit! 3. Add garlic salt, pepper or any other seasoning to your taste, and then rim the edge of the buttered bread with cheese (I used sharp cheddar). 4. 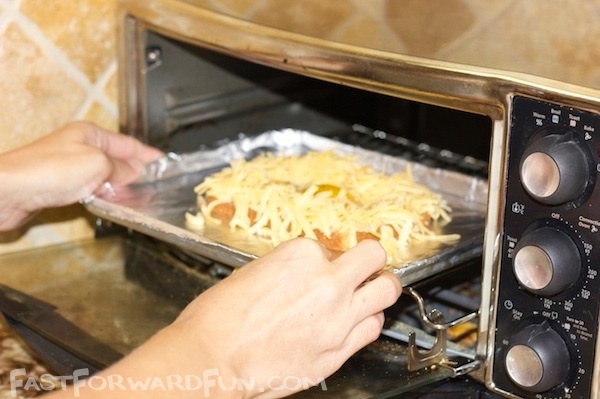 Place in the toaster oven for approximately 5-10 minutes, or until the cheese starts to brown. Keep an eye on it! 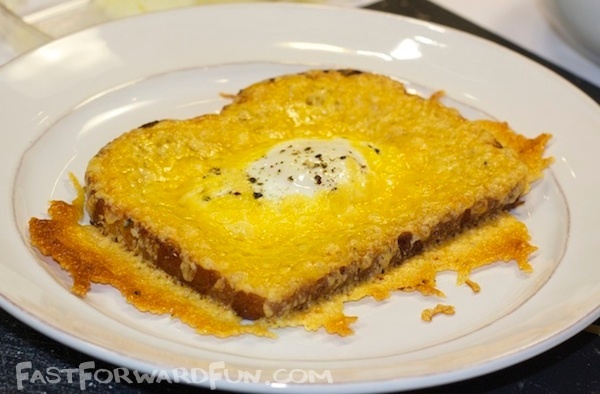 I like my cheesy egg toast to be a little well done. 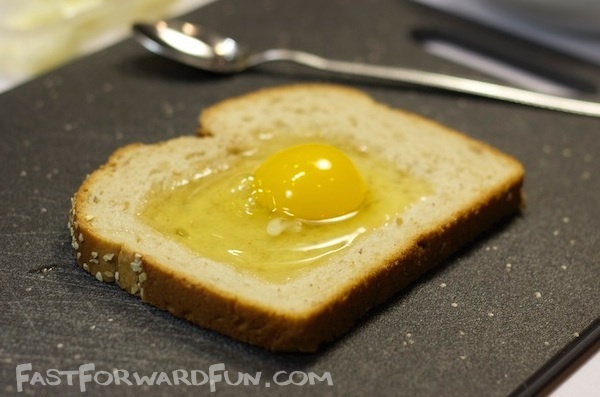 If you don’t have a toaster oven, you can also make this in a covered pan on medium heat or in the oven at 350 degrees, although, I don’t think the egg cooks as well with this method, so only try it if you like your yolk runny. 5. Now, admire the awesomeness and eat! I promise that you’ll want to make this over and over again. I didn’t get any pictures of what the inside looks like, but if you watch the 28 second video above, you will see just how amazing it is.